This cutie was created using the adorable PTU scrap kit by Wicked Princess Scraps called, "Queen Beeatrice" and the wonderful artwork of Erica Leigh Currey using "Bee Fairy". Both are available to purchase at The PSP Project. You may grab these extras HERE. I would love to see what you do with my work. Please feel free to email me your finished tags. Thank You! Check out my new blinkie. Made by Ashly of Ashly's Addictions. Thank you to Bibi of Bibi's Collection for this Beautilicious Award. 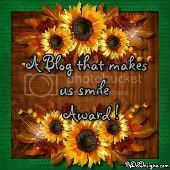 ~*~*~*~*~*~*~*~*~*~ Thank you to Jacquelyn of Jackie's Jewels and Edna of Vermont Angel Eyes for this great award. 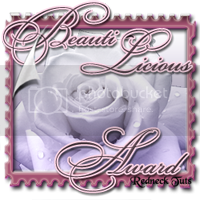 ~*~*~*~*~*~*~*~*~*~ Thank you to Heidi from Dezignz By ShastaMarie and Sandie from Designs by Sharon and Sandie for this Rockin' Award. ~*~*~*~*~*~*~*~*~*~ Thank you to ShastaMarie from Dezignz By ShastaMarie and Stephanie from PS Tuttin With Stephanie for this great Blog Award!